I have been on a wild podcast kick lately and the ones I've dove deep into have been all about bettering yourself and your mindset! Sometimes I get stuck into a routine that is hard to get out of! I am a scoop of peanut butter and coffee girl in the morning and that isn't the best for your body to jump start the day! Working on my morning routine has been really fun and seeing how great I can make my mind and body feel! Morning routines are tough to get into and this is a fairly new one to me! I've found that sticking to something that makes you happy really gets the day going! I'm not going to lie... it's really hard to get up at 4 am. It doesn't really get easier but it's what I do because I love my Drew! His work starts incredibly early and it forces me to have an earlier work day! Thus, I become a lot more productive and try to work 4 day weeks because my days are so long! 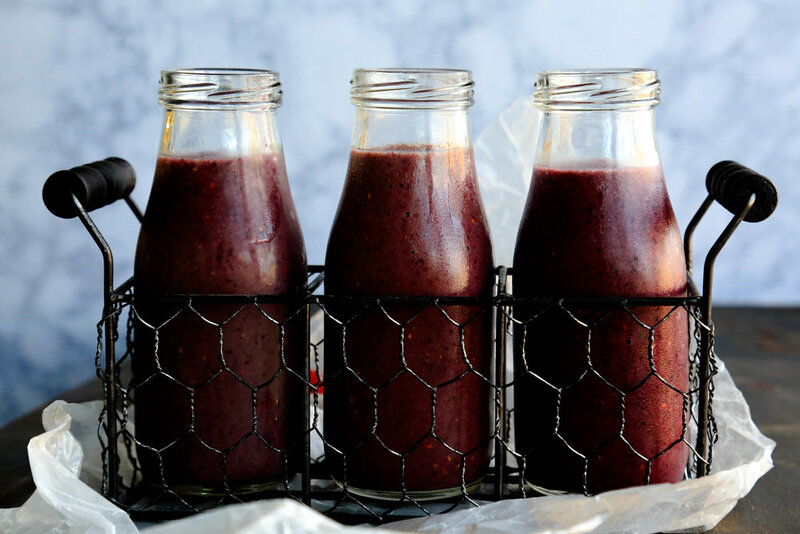 My smoothies and healthy eating really helps my energy levels through the day! Try it out and let me know how it helps you get through the day! What does your morning look like? Let me know! I'd love to know how your day is scheduled!